Sales pipelines operate as the sales departments’ main artery; they pump leads through various processes to create revenue. 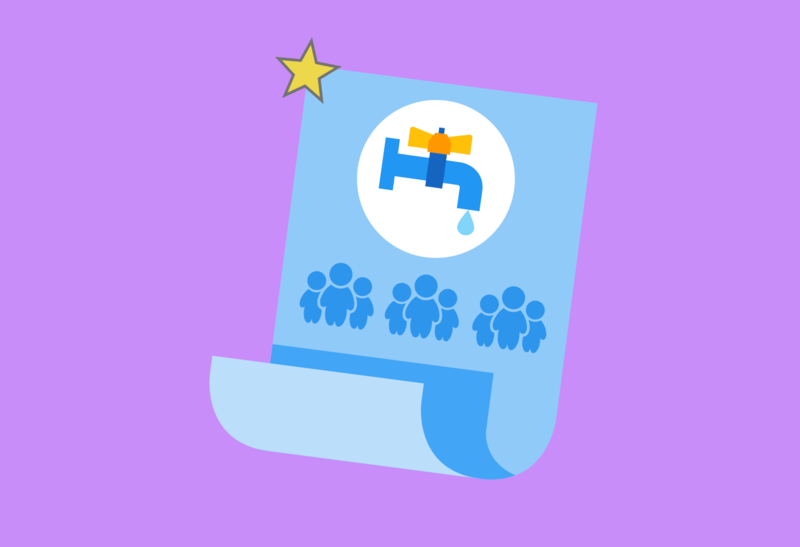 It is important to get a handle on your pipeline to manage your lead flow optimally. A smoothly operating lead flow helps sales reps function at top capacity and close more deals. Without sturdy pipeline management, it is difficult to generate leads and build relationships. Help your sales reps and managers get into a steady groove in their sales process with these tips on how to nurture leads from seed to sale. What exactly is a sales pipeline? It is a visual representation matched with a statistical approach that creates a process intended to help sell a product. A sales pipeline helps to track clients, quotas, and deals. A good pipeline will allow sales personnel to effectively trace leads, money, goals, and manage client relationships over time using accurate data and analysis. The CRM for your sales pipeline should alert the user to deals and customers that need specific attention at a designated time. To take charge of your sales funnel find the right metrics to focus on. Aimlessly collecting data isn’t the best way to customize and design a high-functioning pipeline. It is not only essential to understand your numbers, but also have accurate ones. Get specific with the data sales reps are entering into your company’s CRM. Sales managers should monitor to ensure the data is accurate for improved forecasting. To increase the number of lead-to-sale conversions and improve overall lead generation, it is smart to schedule regular pipeline reviews. There is always room for improvement, and while your pipeline might be full of leads, it could have low conversion rates, for example. Look at the data from the past month, quarter, or year and hone in on problem areas. Reviews can also prevent pipeline lags from occurring. Regularly evaluating all components will help to increase sales velocity and also help to create improved forecasts for the department. Forecasting tends to only focus on results, that is why it is necessary to set aside separate time outside of a forecasting meeting to review the pipeline. The review process can help you get a handle on runaway leads, a common symptom of a poorly operating sales pipeline. Get both management and reps involved in pipeline reviews. A good CRM that meets your sales team needs will help your team contact the right person at the right moment in the sales cycle. The CRM is the foundation for all things sales pipeline; it is not only a sales management tool but a way to organize the entire department. The more people involved in a single sales pipeline, the more complicated things get. Remember, that if your CRM isn’t meeting your needs, you should find a way to further customize or adjust the software to support your sales team. A CRM that matches your product and company reduces administrative work and allows teams to focus on the deals. If a CRM is falling short in just one area, look into different tools and apps that can supplement your CRM rather than getting an entirely new one. This can save time and money and reduce department stress. Migrating contacts into a new CRM and getting everyone in the office up to speed on a different interface can be draining. Customize your tech stack to the best of your ability without overwhelming sales reps. While it is a good approach to treat every lead like the biggest sale of the quarter, it is equally important to learn when to let go. Manage your pipeline to focus sales energy on the hottest leads and don’t get bogged down in the remnants clogging up the pipeline. Sort your CRM based on the highest value leads, not always just chronologically. This can help sales reps hone in on top deals that are ready to close. Don’t think of letting go as giving up when it comes to leads, even if you have spent weeks on relationship building, nothing is ever a total loss in sales. It is never goodbye, only see you later. Continuing to chase weak leads is a sure fire way to lose sales momentum. Prioritizing leads and moving towards big opportunities and putting to rest dead leads (for now) can improve lead flow tremendously. B2B sales cycles are notoriously long, and this can slow your sales velocity down quite a bit. The longer your sales cycle the more opportunity the prospective buyer can change their mind or find another product solution. That is why keeping the sales pipeline as efficient as possible can be powerful. If your reps are having trouble closing deals it could be due to the sheer length of the pipeline. Adjust your CRM to find a pace that closes the most deals without rushing leads. Another issue that could be slowing down the sales pipeline is low lead to sales rep ratio or in-house lead generation. Outsourcing a part of the pipeline, like lead generation, could help to abridge cumbersome processes weighing your company down. With more than 50% of sales managers calling their pipeline performance inefficient, there is always room for improvement to get a handle on your lead flow.